Meet Pam! She has served with exemplary distinction in several RASKC roles since 2013. Pam served as our first Team Lead at Tukwila Petco. She has also served at Early Morning Cat Crew Scheduler. Pam now leads shelter tours, facilitates pet photography, staffs RASKC’s booth at community events, and serves on our Cat Meet and Great team. Pam is phenomenally skilled and amazingly reliable. She provides strategic advice on innumerable matters large and small, which has been invaluable. Pam has gone “the extra mile” on so many occasions by helping to train new volunteers and by helping with vast quantities of fill-in shifts, in addition to faithfully working her weekly shift. Pam has contributed almost 1,000 hours so far. Thank you, Pam! An interview with Pam can be found on our website and blog. With funding from Trupanion, RASKC launched the Rover Scholarship Program last month to help some of our longer-term residents find a new home. So far it has been met with great success. RASKC waives the adoption fee* and provides a $400 scholarship for adopters to seek professional training classes or individual training for the designated canine scholar. Four of the five dogs participating in this program have been adopted, including Betty, Domino, Spike, and Thor. We hope that the remaining candidate, Django, joins the honor roll soon. * Note: Participants in this program who live in RASKC’s service area are still required to purchase a pet license. Earlier this month RASKC was nearly bursting at the seams with many kittens available for adoption. When the adoption fee for kittens was lowered from $100 to $30, as part of the “We’re not kitten around” promotion, adopters flocked to RASKC. So far this month, over 130 kittens have been adopted! The kitten promotion will continue through August 31st. The special adoption fee applies to all kittens, including those at offsite locations and in foster care. With wildfires raging in our region and the looming threat of earthquakes, all pet owners and guardians are wise to develop plans for pet care in case of a disaster. RASKC’s website provides important advice from the American Red Cross and quick links to the King County Office of Emergency Management, ALERT King County, Seattle and King County Ready, GoPetFriendly.com, FEMA, and our pet-licensing program. 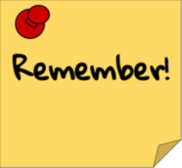 The Pet Safety Checklist on RASKC’s website is available in nine different languages. Roomba is a 1 year-old, female, black Pit Bull / Labrador mix (#A558570). Roomba’s personality color is RED, meaning she is a spirited dog with a fun-loving personality! She is cautious in new situations, but once you gain her trust, she will show you what a spunky and fun dog she can be! This sweet girl is hoping to find an understanding family who can work with her on her confidence building, and will probably do best in a home without young children. Once she warms up, Roomba is full of energy and loves to play. She will do best with lots of exercise and something to keep her mind busy. She is also a very smart dog and already knows several commands. Roomba seems to do well with other large, energetic dogs, and would do best with a slow introduction when meeting any other dogs in her new home. Roomba is spayed, current on vaccinations, and microchipped. Her $100 adoption fee also includes a certificate for a free veterinary exam and an opt-in 30 days of free pet insurance through Trupanion. You can learn more about Roomba on RASKC’s website at www.kingcounty.gov/adoptapet. Click on "dog" and type in her name. You can also meet other animals available for adoption, 7 days a week at RASKC's King County Pet Adoption Center in Kent, located at 21615 64th Ave S; Monday - Friday: 12 noon - 6 p.m., Saturday - Sunday: 12 noon - 5 p.m. Phone: 206-296-7387 (PETS), email pets@kingcounty.gov. 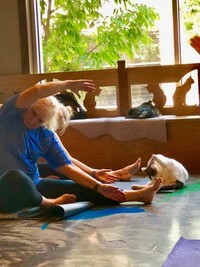 Cat yoga featured at volunteer event. Earlier this month over 55 volunteers and guests participated in RASKC’s third annual Volunteer Appreciation Event at Seattle Meowtropolitan Café. The highlight of the day was the yoga session with cats. Thanks to Meowtropolitan staff for hosting and providing yoga instruction. New location to wash cat carriers. Earlier this month RASKC created a new washing station for cat carriers and feral boxes. It is located on the west side of the load/ unload bay. Key cards no longer needed except 1pm- 2pm. Our Vet Clinic staff are rejoicing about the new keycard procedure. Volunteers and staff no longer need to use a key card to access the Vet Clinic entrance during normal business hours, except from 1pm- 2pm. RASKC maintains more than 325 scheduled shifts; 85% are weekly. If you do not see an opening that matches your availability, no worries! Additional openings occur almost every week. Most volunteer descriptions can be found on our RASKC Volunteer webpage. Wednesdays, 1pm- 3pm, alternating weeks. Might be in the process of being filled. Complete the Vet Clinic Volunteer application. Dog Walkers of any color are eligible. Sunday, October 14 - Dogs (8am-10am or 10am-11:30am or both.) -- Red dog-walkers only.